The very essence of the Finnish sauna is creating a relaxing moment that takes place in room with a relatively high temperature and humidity. That is however enough for “beginner-level”, because there is so much more about it than just those two variables. A good sauna has cozy lightning, it looks beautiful, there is a fragrant aroma, nice textiles etc. Some say that even music and even television belongs to sauna. It might be just me, but that it slightly too much. The spa & wellness business has welcomed the word sauna warmly. There are saunas, infrared saunas, steam saunas, hamams and more. For Finns, sauna means traditional sauna or “dry sauna” as it is called elsewhere. This short article will focus on the traditional Finnish sauna heater, which I personally see as the heart of sauna. Furthermore, it focuses on the two most common types of Finnish sauna heaters; wood-burning sauna stoves and electrical sauna heaters. Sauna stove, sauna heater, burner, kiuas, wood stove, electrical sauna heater, you name it. Dear child has many names, but in the case of sauna – only one function. It is a unit that heats up stones. Sounds simple, but yet there are hundreds of producers trying to nail it. Heaters are very different, starting from the fueling. 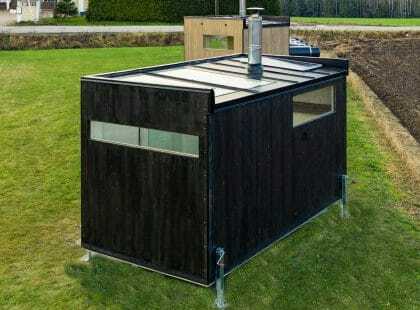 It can be wood, electricity, gas, pellet etc. Since electrical sauna heaters didn’t exist a too long time ago, the stones were traditionally heated up with fire. Ever since wood-burning sauna heaters have been around and are still serving saunas around the world. In the case of electrical sauna heaters, the stones are heated by electrical heating elements. I will now reveal a big secret: the magic behind a good sauna experience is always about the stones. 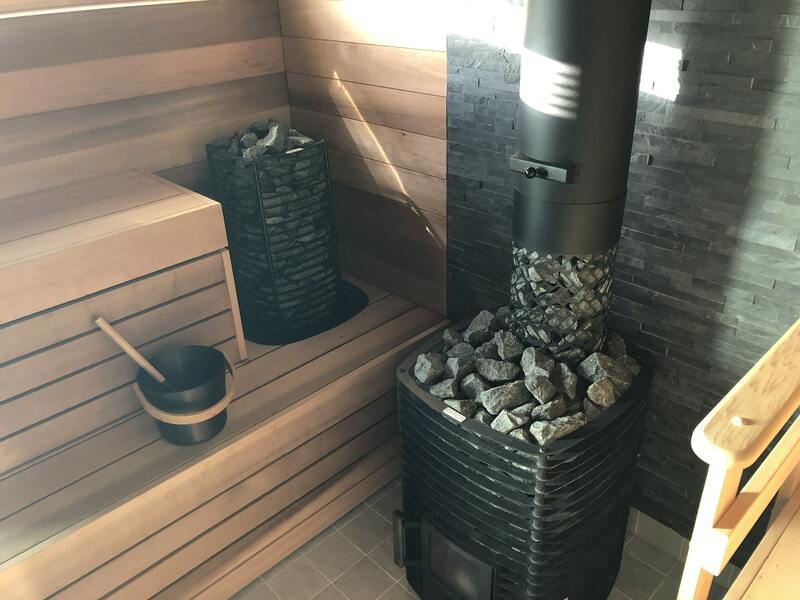 The more stones there are, the better the sauna is. But as we don’t have time to wait for two tons of stones getting hot, we need to make compromises. That leaves the manufacturers in a situation where as many stones as possible need to be heated up as quickly as possible. It is not an easy task for the heater as it needs to tolerate high temperatures in extreme conditions. 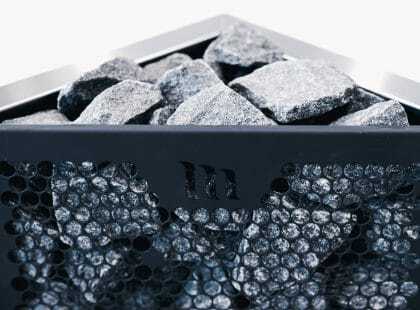 There is no shortcut to perfect “löyly”, it is always about stones and proper ventilation. 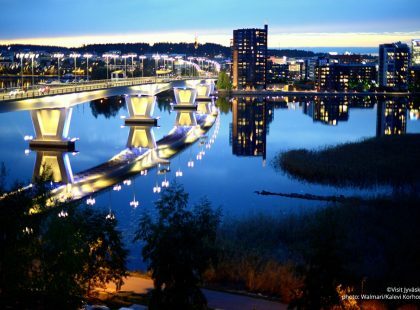 Why do we Finns say that wood-burning sauna stoves are much better than electrical sauna heaters? Ask anyone, and they’ll tell you that the best sauna ever can be found at their own summer house – which is also so true. Just a bit of about physics: when the fire burns inside the stove, it requires a lot of oxygen. That air must find its way from somewhere, and in the case of that same guys summer house sauna, it comes from the outside next to a nice lake. That airflow creates a great ventilation and the fragrant smell of a genuine Finnish sauna. Electrical heaters are usually placed in saunas that are inside a house or an apartment. Electrical heaters do not require the same amount of oxygen, meaning the ventilation works in a different way. Also, if there are at the same too few stones, the result can be a too dry sauna. A good sauna has a proper ventilation and the electrical heater has enough stones to create humidity. Both options are good, and the most important thing is that there IS a sauna. The latest trends for sauna heaters have been design-related. The heater doesn’t need to be a “wall-hanging” model (which they used to be earlier), or even a “tower model” anymore, but something that fits in the saunas design and serves the purpose. The control units are also quite fancy nowadays with touch screens and other cool stuff. If you consider buying a sauna (even though I am necessary not the right guy for the complete project), I would like to share some tips about sauna heaters. Always ask for help from a professional. No matter if its about the sauna heater, ventilation, structure or anything else – it is worth it. How does the heater look like? If wood-burning stove – safety distances and smoke flue. If you do not have a chimney, ask the professional about smoke flue options. If electrical heater – safety distance and placing of the control unit and temperature sensor. The control unit can be placed in different spots depending on the model. Also, the temperature sensor needs to be installed according to the instructions. If you get stuck between two options – choose the more powerful one. Enjoy every minute of your sauna! What can go wrong? A few things will for sure mess up a sauna. Safety comes first, of course. Never even consider doing your “own nice solution” instead of following the instructions. They are not that complicated after all. You might not enjoy your wood-burning sauna stove if you don’t have access to logs, or a 10,5kW sauna heater might never start if your house’s electrical system doesn’t tolerate it. This’ll never happen though, because you’ll contact the professional before choosing the heater, right? As long as you have qualified people involved, everything will go just fine. 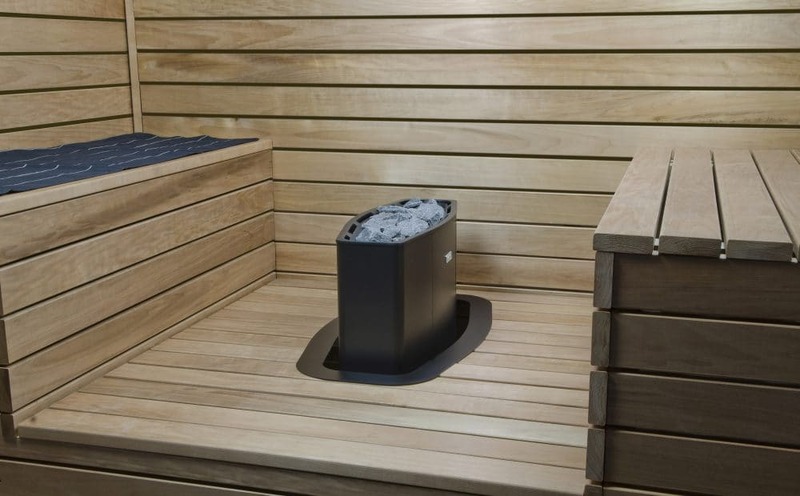 Sauna is a healthy and relaxing way of treating yourself any day of the week, and when it’s built properly and the heart is in right place, you can enjoy it for years to come. If you are wondering about the sauna heater and are not really sure about it, I suggest you choose a sauna heater that is made in Finland. There are many “Finnish saunas” around there, but not all necessarily manufactured in Finland. Over here, I dare to say we take this kind of seriously, meaning every model is strictly tested and proven to be good. My own sauna then? The best possible sauna stove I could imagine would be that two-ton stone monster, which I would heat up with burning wood. As this is real life and it didn’t fit into my house, I prefer a wood-burning stove with 160kg of stones. It takes me an hour to get it warm, but that very number keeps reminding me that I should never be in such a hurry that I couldn’t wait for it to be ready. Actually.. Who am I kidding? I will anyways be in too much hurry that one Friday evening when sauna is really needed, so I took no risks and added an electrical heater as well. It is after all fantastic how much pushing one button can make your evening better.